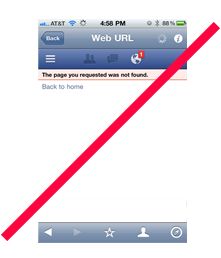 Since Facebook's iPhone and Android Apps, as well as their mobile version do not incorporate custom tabs into the Page navigation nor show the custom tab content if a wall feed post containing a standard custom tab url is clicked, then mobile users (which account for over 60% of daily Facebook traffic [and growing] would normally be left out and have a bad user experience (Page not found). HOWEVER, with TabSite this is not so! All TabSite users have access per app to generate a mobile friendly url that can be used to direct traffic to the custom tab. When this url is used, TabSite detects upon each click, if the user is coming from a mobile device. If they are, we show a mobile friendly version of the tab. If a mobile is not being used, we show the default standard version. In the "My App" area you can simply go to the dropdown menu on any app. In the dropdown select the "Get Smart URL" option. 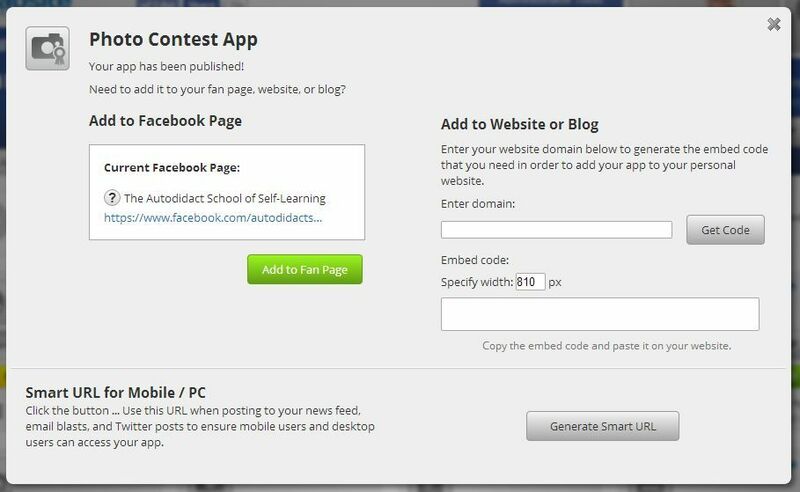 Option 2: In the TabSite Manager, when you click to "Publish" an app, you will be given a dialogue box with the Facebook deployment option, the web embed option, and the Smart URL. Click the Smart URL button to generate the URL and then copy it. 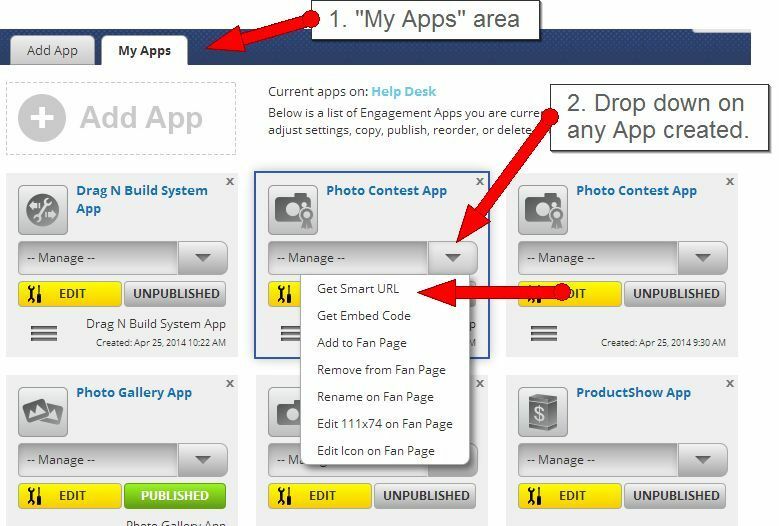 NOTE: When using a Drag N Build app you have sub-pages that can be created and EACH sub-page can have a Smart URL. Access it in the "My Sub-Pages" Drop down selecting "Open / View Pages". 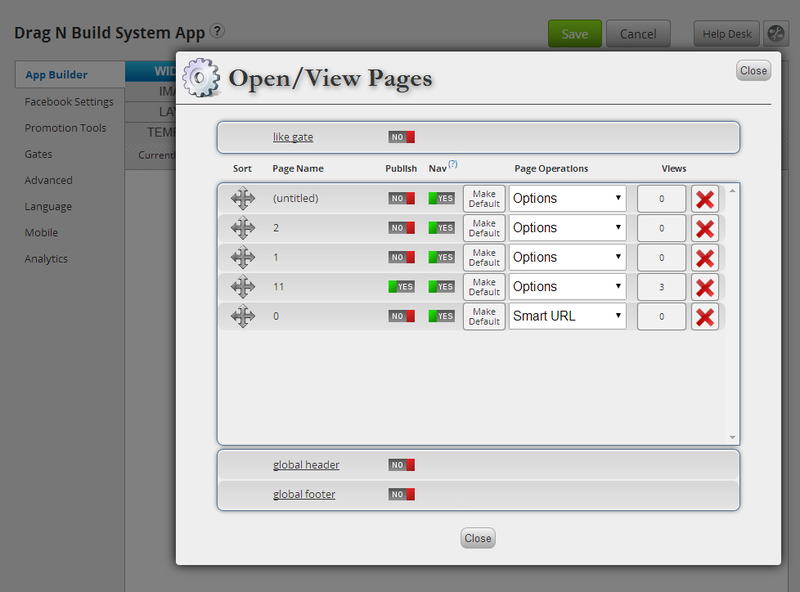 This opens a box with the sub-pages you have created and the dropdown for Page Operations starting with "Options" gives you the "Smart URL" tool. This shows you the mobile friendly url and by simply clicking the "Click here to copy the URL" it will copy the url to your clipboard so you can use in promoting the app. It works! It is the destination on Facebook, the difference is that this URL is SMART! It detects the type of device the user is on and displays a version that the user can see! This Smart, mobile friendly URL, when used in a news feed post, tweets, on your website or blog detects the browser type the visitor is using and then takes the viewer to the correct view, PC or mobile, for the app. Using this feature gives ALL users trying to access your app access to it. 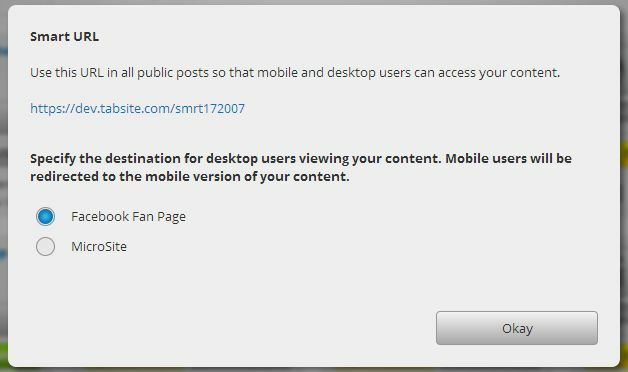 Desktop visitors continue to have the same experience of viewing the custom tab on Facebook or on a microsite (you select) when they click on the Smart URL.